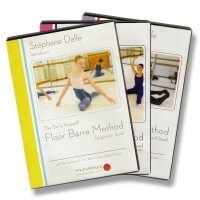 Dance Online are exclusive distributors of Stephane Dalle's phenomenal series of Floor Barre downloads. 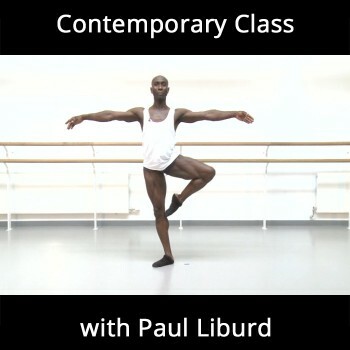 Based on the Boris Kniaseff technique, this method of exercise will help both ballet students and professional dancers to achieve more strength and better alignment, which will result in improved overall ballet technique. It is very well put together. 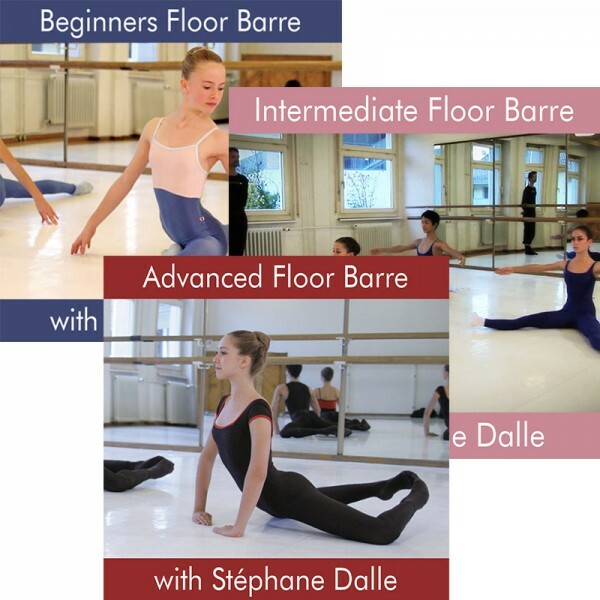 It gives you arm and leg coordination, it sculpts your leg muscles in a healthy way, it strengthens your center to re-establish the lower and the upper part of the body. It just helps you to dance well. 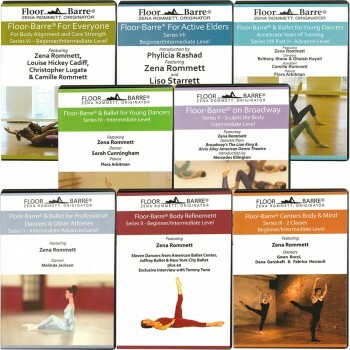 Everything comes together to allow you to dance freely..."
These are the downloadable versions of the class. After purchase, we will send your download links to the email address you register at checkout, so please ensure that you register the correct address. 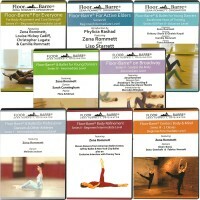 You will receive links to two different video formats: low resolution and high resolution MP4. This is a very commonly used video format and compatible with most computers and mobile devices. On Windows computers, you can use Windows Media Player or VLC Media Player in order to play the content. On Mac computers, you can use QuickTime or Elmedia Video Player. Please ensure that your device is capable of playing MP4 format videos before placing your order, as downloadable content from our website is non-refundable. Please read our full Terms and Conditions. iPad users please note: iPads don't have a root file system like desktop computers, so by default will attempt to play the downloadable content directly from our hosting server, rather than downloading the content, when clicking on the download links that come with the order confirmation emails. This is not the intended behaviour and will likely cause faulty playback and a waste of data transfer which will result in additional costs to yourself as well as DanceOnline. If you intend to play the content on an iPad, you must first download it to a desktop/laptop device, import it into iTunes, then connect your iPad to your desktop/laptop device and sync your iTunes content. 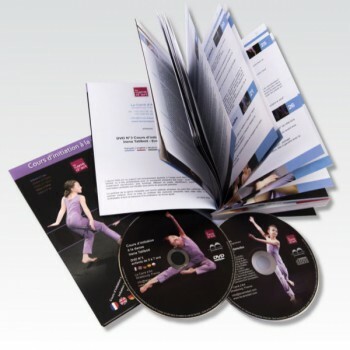 You can test this by downloading a free MP4 sample from https://sample-videos.com/ and going through the above process before purchasing a downloadable product from our website.